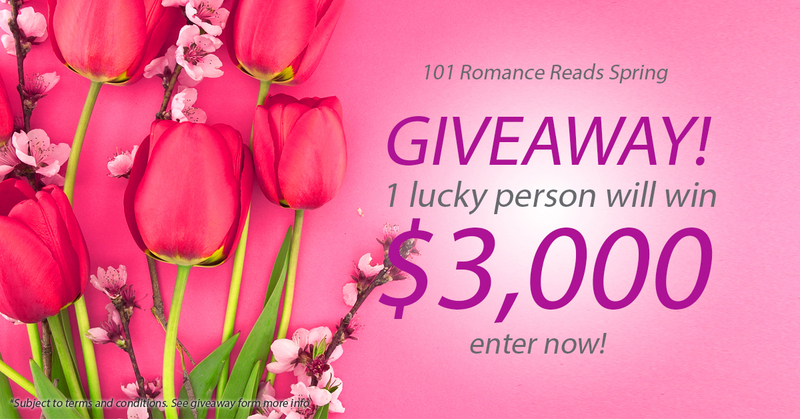 $3,000 BIG Author Spring Giveaway! 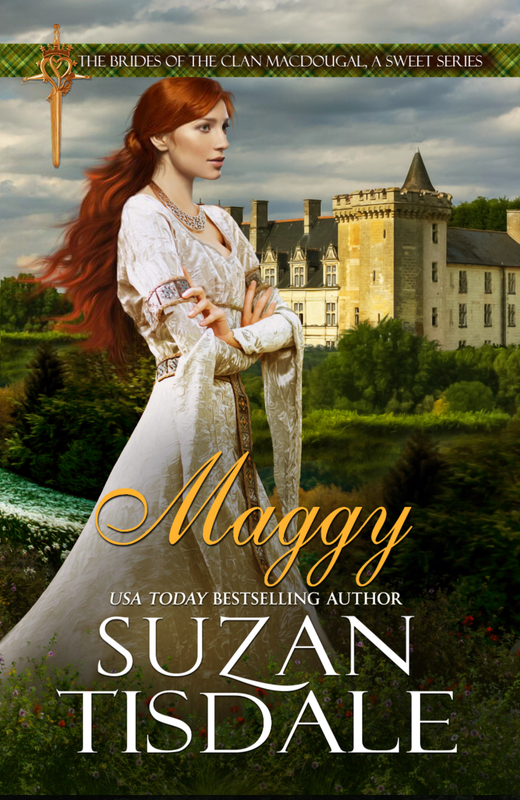 I’ve just launched my new sweet series, The Brides of The Clan MacDougall. 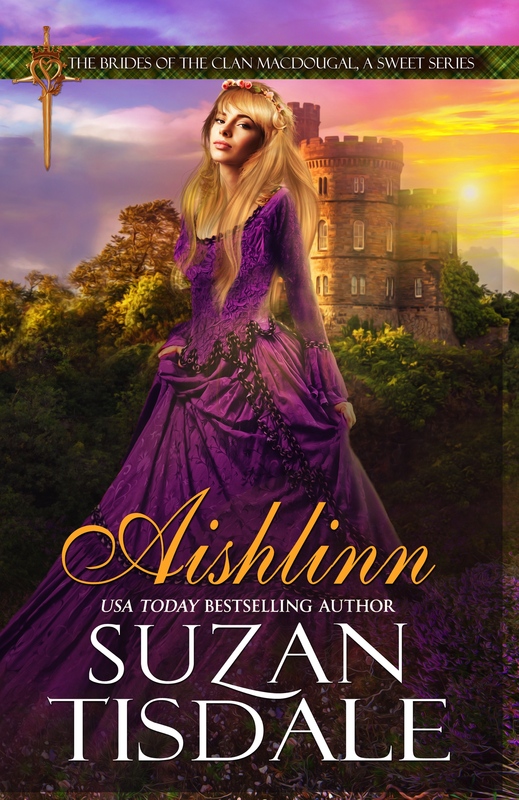 The first book, Aishlinn, went live yesterday. Aishlinn is the sweet/non-steamy version of the first book I ever wrote, Laiden’s Daughter. In a nutshell, it is the same story, but all love scenes take place behind closed doors. There is still passion and romance, intrigue and mystery. I wanted to reach a wider range of readers. What one reader might consider tame — as my mother often lamented — another reader would consider erotica. Personally, I considered my books somewhere in between. Passionate without being too graphic. I have granddaughters and grandnieces of varying ages. Most of them love to read, however, I think they’re a wee bit too young yet for most of the subject matter in my books. But in a few short years, they will be able to handle a ‘sweeter’ version of my books. Battle scenes have been tamed down and all ‘love scenes’ take place behind closed doors. I’m also taking the opportunity to have the originals fully re-edited. Remember, in the beginning of my writing career, I didn’t have all the awesome editors and cover artists that I now have. I figured this was a great time to ‘spruce’ things up a bit. Over the next few months, I’ll be adding Maggy (Findley’s Lass) and Nora (Wee William’s Woman) to The Brides of The Clan MacDougall. Again, they’re the same stories, just sweeter versions and far less graphic than the originals. Welcome to March Madness Virtual Book Tour! How exciting is this? 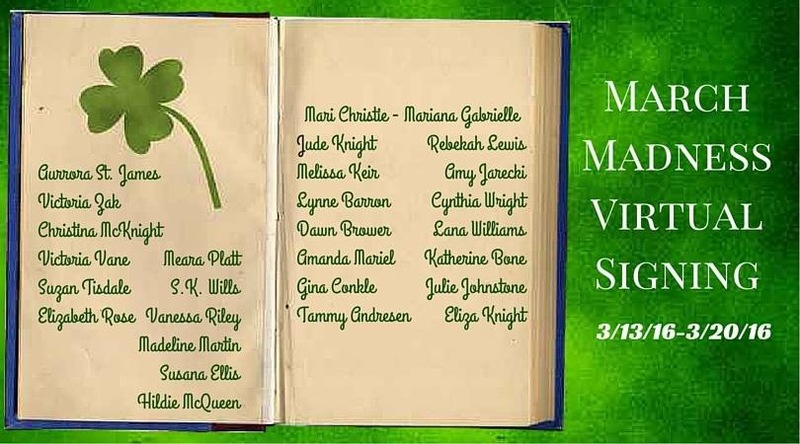 March Madness Virtual Blog Tour! We have lots of awesome authors who have put together some great videos for you. We’re talking about our favorite books — books you can purchase and have signed by us. In today’s video, I’m talking about two of my favorite books: Frederick’s Queen and Isle of the Blessed. You can purchase paperback copies of either of these books and I’ll sign them and send them to you. How cool is that? You can watch my video by clicking here. (You will need to enter it – Frederick’s Queen – along with all of today’s featured titles into the grand prize rafflecopter. Do this each day for your chance to win the $60 Amazon gift card! The rafflecopter can be found on the event page as part of the description by clicking here. For those of you using smartphones or tablets, please click here. 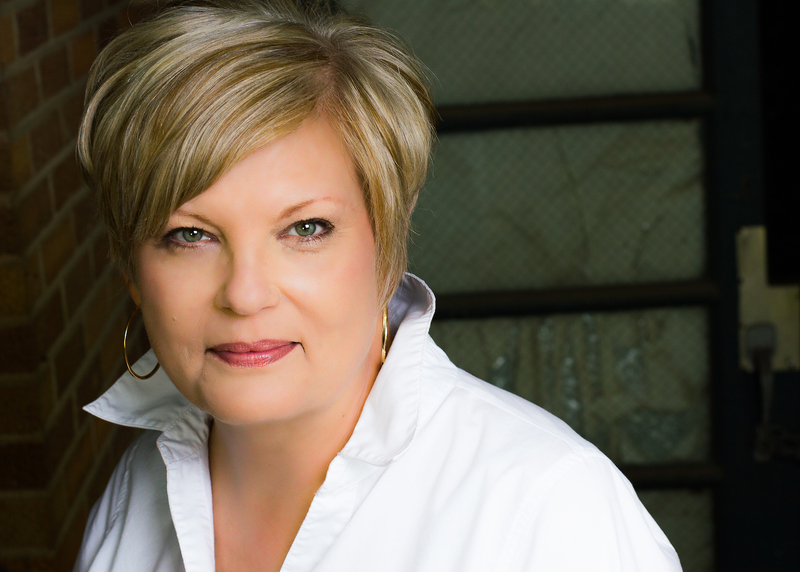 The next author up in our blog tour is the awesome, beautiful, and talented Victoria Zak! I know you’ll adore her as much as I do! To purchase signed paperbacks of either Frederick’s Queen or Isle of the Blessed, please click here. As many of you know, I am an independently published (indie) author. That means I do not have a big, traditional publishing house looming over me. I am the publishing house. There are many things that I love about being an indie author. Mostly, I love the fact that I have complete control over everything from content to covers to the price of my books. One of the drawbacks of being an indie author, however, is that most major bookstores, such as Barnes & Noble, will not stock paperbacks published by indie authors. It can be done, but it is a very long, hard, difficult process. I’d rather spend my time writing. Last fall, I met with a wonderful woman named Mary, from the publishing house, Ever After Romance. I was intrigued with what they had to offer. I would be able to maintain rights to all of my digital books while Ever After took care of the print versions and get them into real brick and mortar bookstores. Real brick and mortar stores. I decided it was an opportunity I couldn’t pass up. Getting my paperbacks into ‘real’ brick and mortar bookstores has been a dream of mine since I published my first book in December of 2011. So when you visit an online bookstore and look at the paperback versions of my books, you will now see Ever After Romance listed as the publisher. 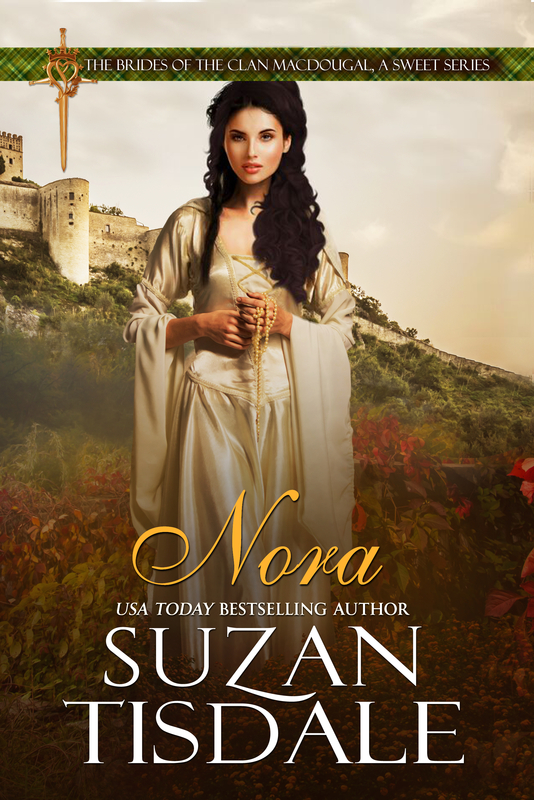 We have a few stragglers, but I can promise you that soon, very soon, you’ll see all of my paperbacks as being published by Ever After Romance. And soon, you will be able to purchase my books from major brick and mortar stores around the world! I cannot express to you how exceedingly excited I am at this prospect. Note: If you don’t find the books on their shelves, just ask and they’ll order them for you. How cool is that? I also decided now was also a great time to ‘freshen up’ the covers for my first several books. I will be doing cover reveals for these within the next week or so. I cannot wait to share these with you! Moving forward, I guess you can now consider me a hybrid-author. I am still in charge of my ebooks, but I have a ‘real’ publishing house for my print books. It’s a brave new world, aye? These are exciting and thrilling times, indeed!